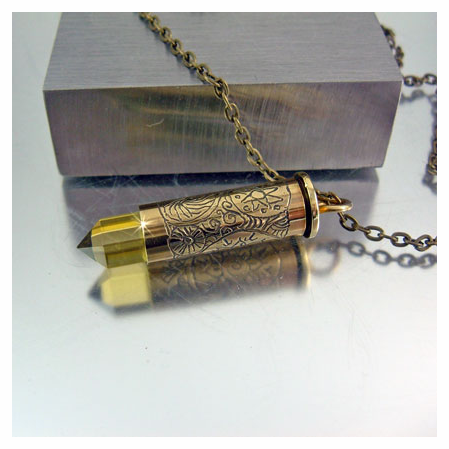 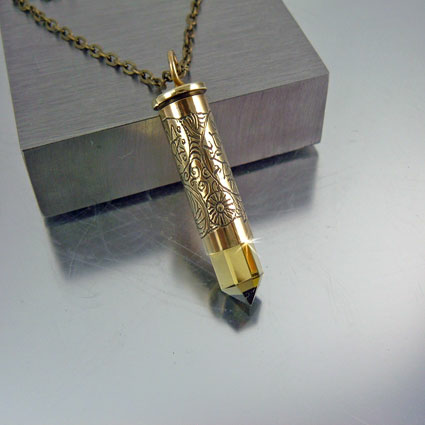 This bullet necklace was first hand drawn then hand carved. 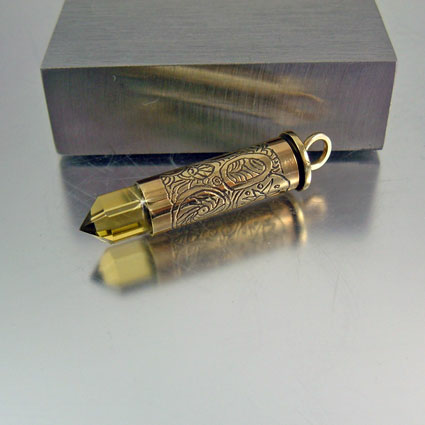 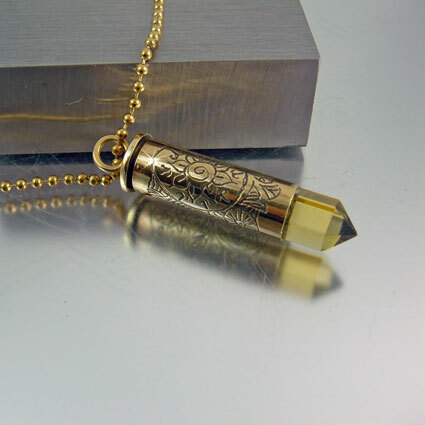 The casing then completed with a HT Citrine quartz crystal faceted point inserted at the tip accenting it perfectly. 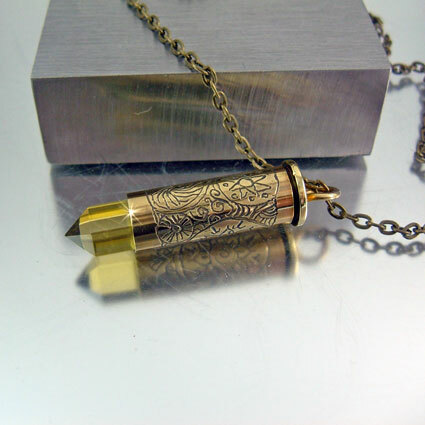 A perfect necklace to wear any time of the year.